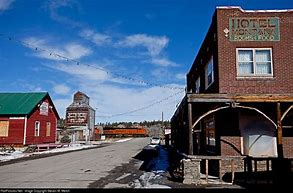 Town of Reed Point- Our old agricultural town has most of the original store fronts still visible right down Division Street. Check out the newspapers from the early 1900’s in our post office. This unique town is about 3 blocks long, and perfect for a nice walk. The Yellowstone River is half a mile from our park. 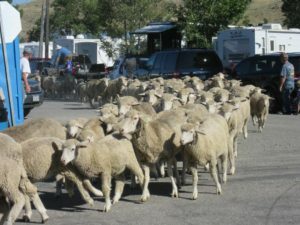 Sheep Drive- Every labor day weekend, Reed Point celebrates the Running of the Sheep, including a street fair, vendors, music, parade and car show. This past year, the sheep ran right past our park. 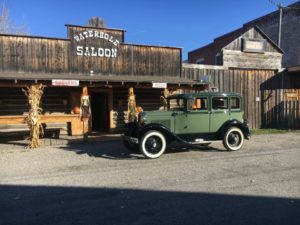 Waterhole Saloon- 3 blocks away from our park, the Waterhole Saloon has good food, drinks and friendly people. I really like their Pizza and try their Western Burger and Fries. Inside they have some cool woodwork, and if you have an extra quarter, be sure to ask for the hammer so you can make your mark inside! 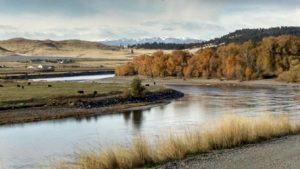 Indian Fort Fishing Access- One-half mile down the road, the Indian Fort Fishing Access is right along the Yellowstone river. We’ve had quite a few people catch trout down there or just sit by the river and enjoy the beauty. 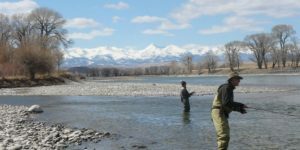 Sweetgrass Anglers– Here you can find guided fishing tours, equipment and advice on fishing the Yellowstone, Boulder and Stillwater rivers.. Local guides can show anglers of all experience levels a great time. 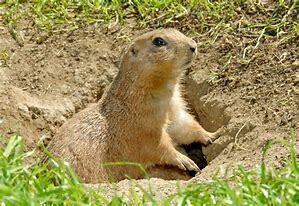 Greycliff Prairie Dog Town– 10 miles to the West, this is 98 acres of complex underground tunnels and burrows of these little intelligent creatures. There places to picnic and observe as well as interpretive sites to explore. Natural Bridge Falls and Boulder River- 24 miles to the west of our park, the Natural Bridge Falls is a fun place to hike to for a gorgeous view down into the gorge. The Natural Bridge actually fell in the 1980’s but the falls and trails are beautiful. Just past this is an historic Ranger Station. One of our guests saw a moose down that road. I was so jealous! Crazy Mountains– Looking towards the West on a clear day, the Crazy Mountain peaks can be seen in the distance. 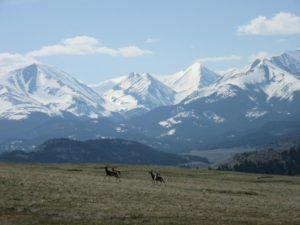 One of my favorite mountain ranges. 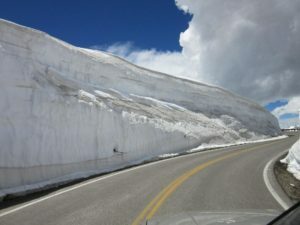 Beartooth HIghway- 60 miles from Reed Point, just past the historic town of Red Lodge, there is the beautiful twisty turny ‘oh-my-gosh that’s-a-long-ways-down’, highway built in the 1930’s. 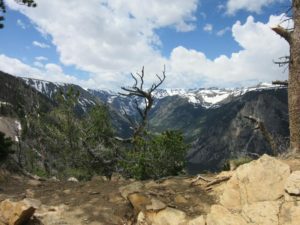 Breathtaking views around every corner, and at the first overlook, watch for the assertive little chipmunks that try to get into the picture when you have your camera out. 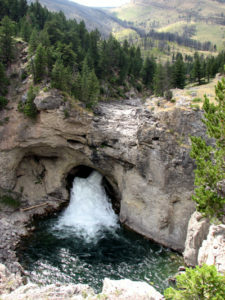 Yellowstone National Park- We are 120 miles from the west entrance of Yellowstone. If you have never been there before, there is so much to explore. I had been to the park 20 years ago and just went again recently. 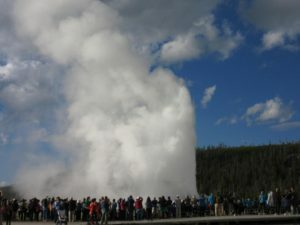 It’s just an incredible place and I had to stay to see Old Faithful go off twice. I can’t wait to go back.